Open call for workshop "Shifting Perspectives"
This two-day workshop brings multi-scalar approach in order to examine rich history of Kiev riverbanks. Taking a relatively small sample of hill along the Dnipro river, we will develop shared and one-of-a-kind narrative by using collective inquiry as a pedagogical tool. Walk starts at the controversial spot of People Friendship's Arch, with the spectacular view on Trukhaniv Island and its pedestrian bridge, and ends up at the beach with opposite view on celebrated Kiev panorama, this time with completely different soundscapes. We will particularly look at the existing technical and cultural infrastructure (Water Museum, Puppet Theatre, River Port+Funicular, Park Bridge) not just as places of encounter, but also as commonly produced value and symbols of diminishing public life. At the second day we will shift our walking perspective by observing first day route from the boat. Result will be a selection of layers of the collective critical map with an aim to serve as alternative tour for diverse urban explorers. 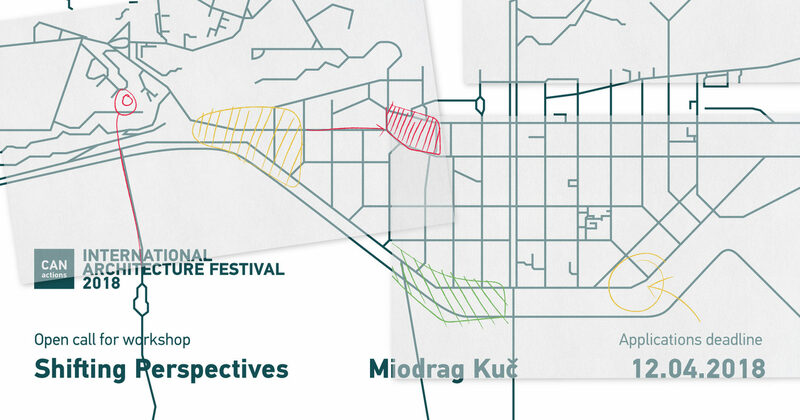 Miodrag Kuč is an interdisciplinary artist and urban theorist trained as architect / urban planner in various cultural settings. His work explores the role of ephemeral structures in uncertain urban conditions and spatial appropriations of marginal social groups. He is founder of the studio ParaArtFormations which moves at the intersection of urban studies, performative-planning, artistic interventions and micro politics. Currenty he works as programme director and curator at ZK/U (Centre for Art and Urbanistics) Berlin, exploring new ways of knowledge production through the lenses of critical urban pedagogy. Participants mixed professionally and gender-wise, interested in exploring and improving the researched area from the People Friendship's Arch to the pedestrian bridge leading to the Trukhaniv Island and Richkovyi Port zone. Participants are welcome to bring at least one personal story about this area. within the framework of the 11th CANactions Festival on April 20-21, 2018 in Kyiv.